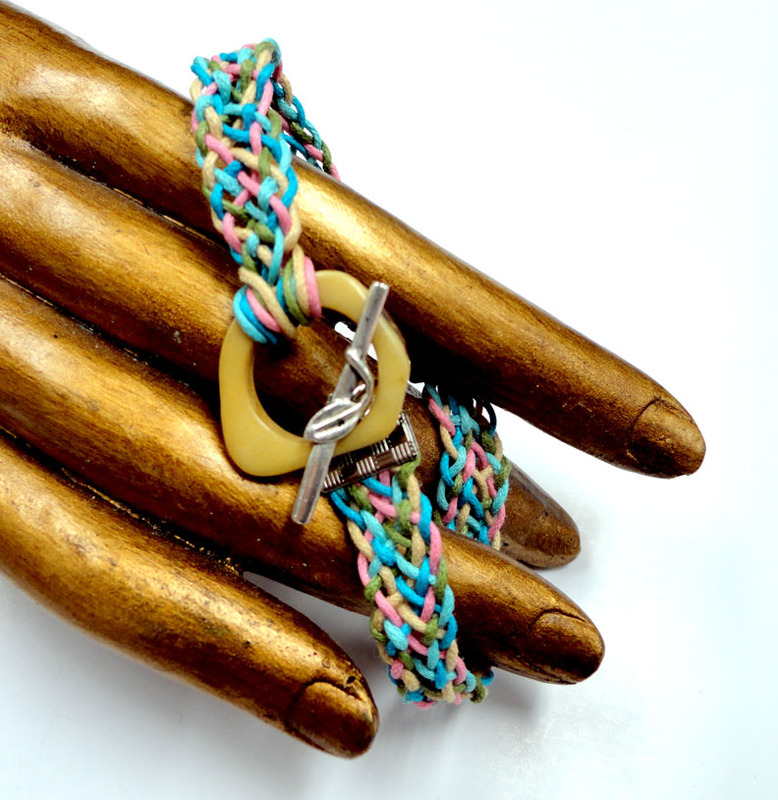 This latest set of jewelry by Nancy Donaldson celebrates the old skill of macrame and the new cotton wax cords now available to knot with. 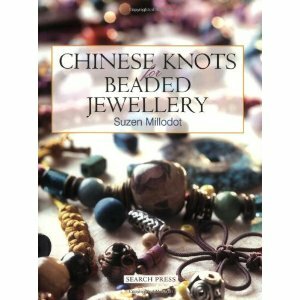 Nancy used traditional knots and featured Ladhaki beads between sections. 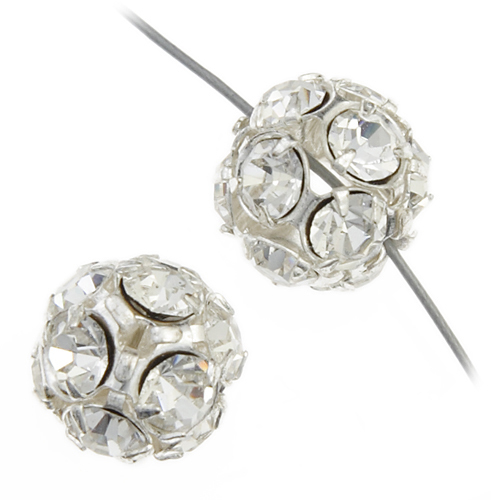 These special beads are ideal for working with thicker cords. The colors in the bead inspired Nancy to also use small red wood beads as accents throughout her jewelry. To finish her ends Nancy applied a little bit of tape to the ends and then placed them into an endcap. These end caps revolve so the toggle sets are easier to use. The finished ends make these pieces look even prettier. 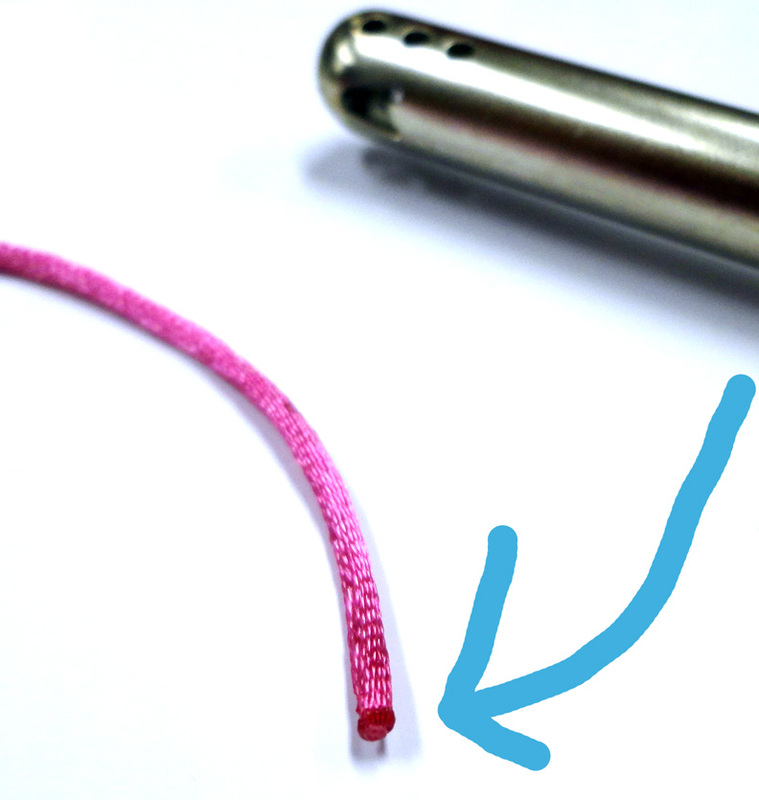 The necklace features two unique cords. 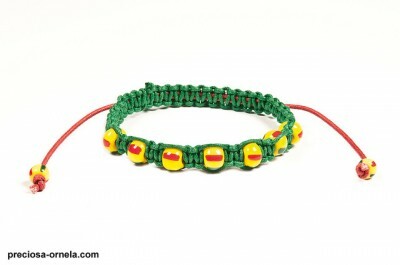 The bracelet is lightweight and easy to wear. We have great colors at great prices! 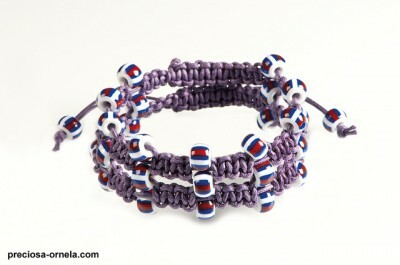 These shamballa bracelets are a perfect way to show off our cotton wax cords and some gorgeous Preciosa Beads. 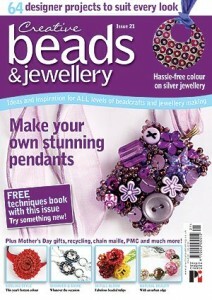 If you would like to learn how to make one you could download a wonderful how-to PDF from Preciosa. From the moment we saw this amazing assortment of shamballa bracelets we knew that you would love our cotton wax cord collection. 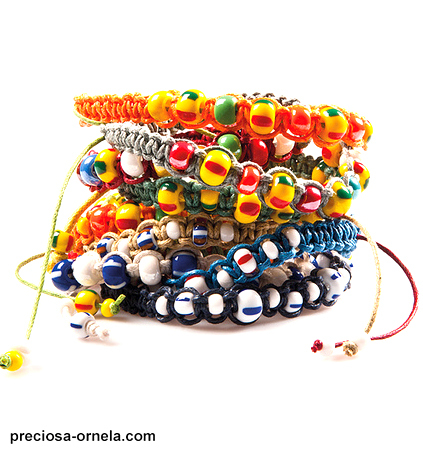 You may download a how to PDF from Preciosa from our website. Now I am getting somewhere! 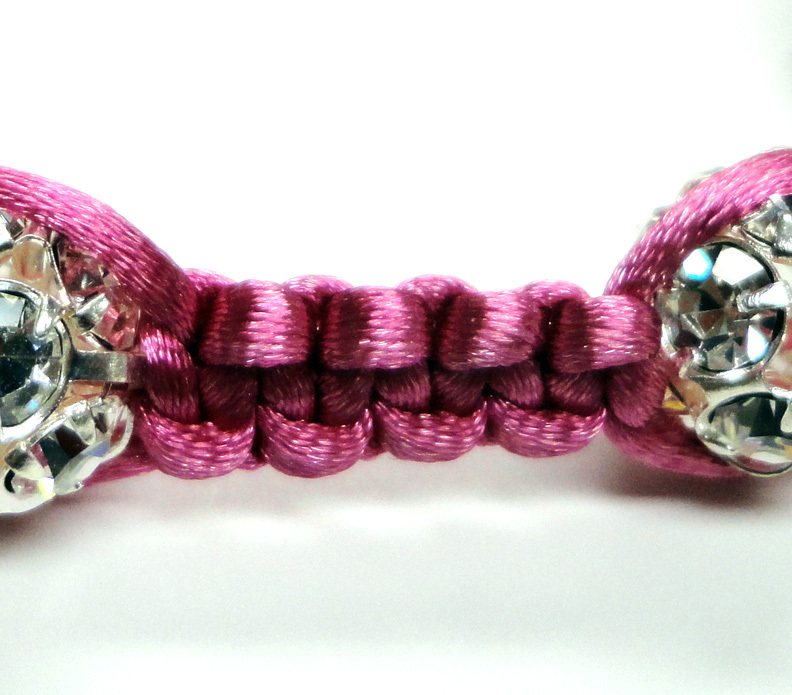 The shamballa bracelets are starting to make themselves now! 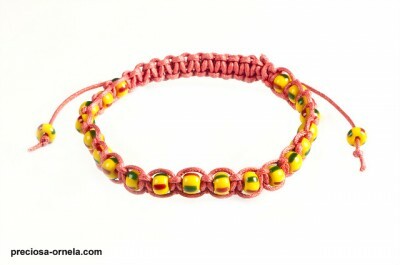 For this bracelet I used the Dazzle-It strawberry pink rattail 1.5mm and pink 1mm cotton wax cord. 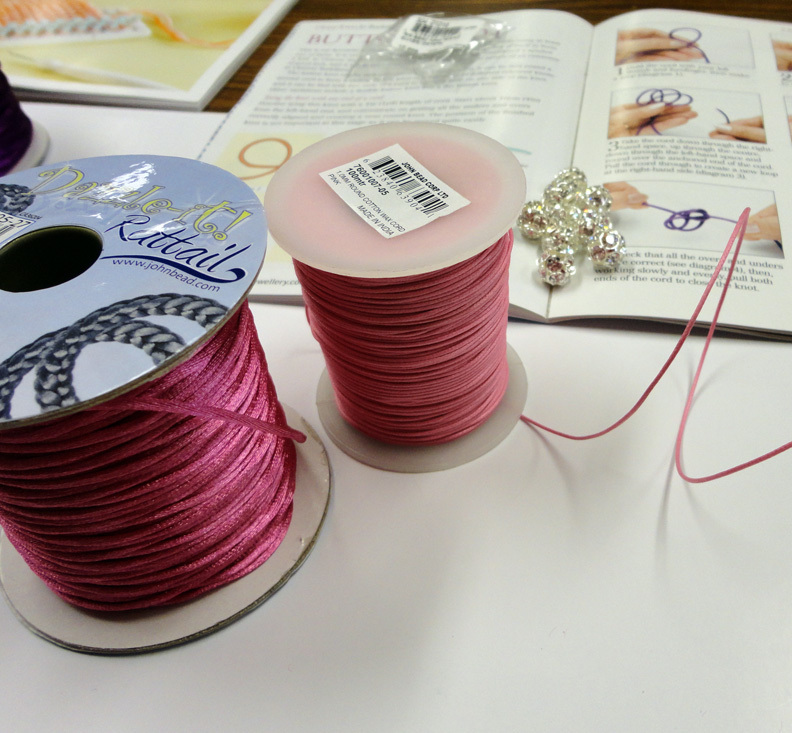 I needed the thinner wax cord so it would be easier to string my fabulous rhinestone beads. The silver crystal beads have quite a few openings, so while I could use a thicker cord, 1mm was the easiest to work with. The choice to work in pink was my own. Spring is here and I need a brighter bracelet to wear! 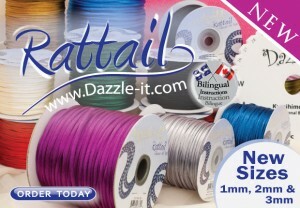 There are so many colours in the rattail line though! 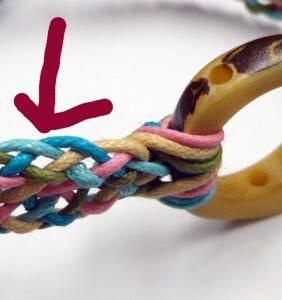 I have been teaching myself these knotting techniques. 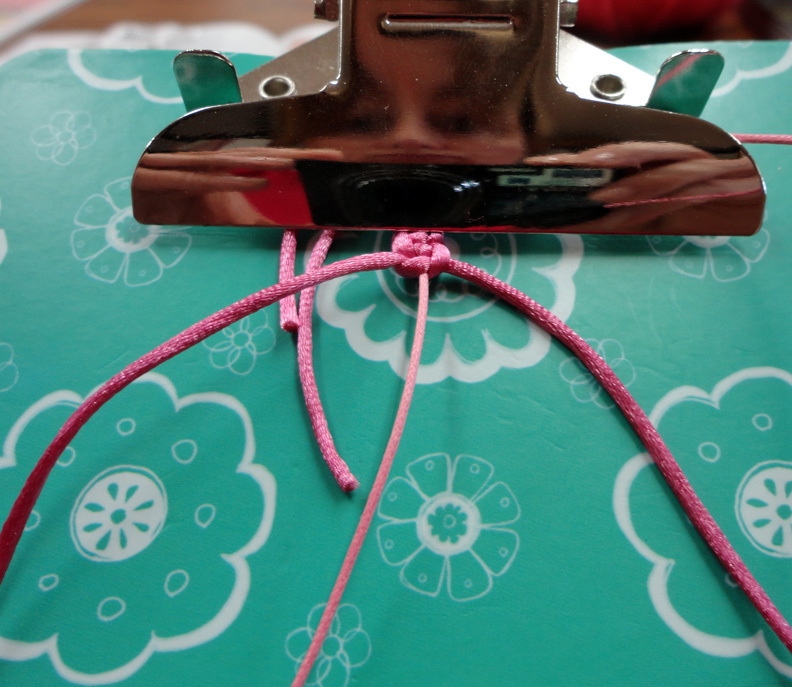 I have learned that a clipboard is really helpful. It is your third hand. 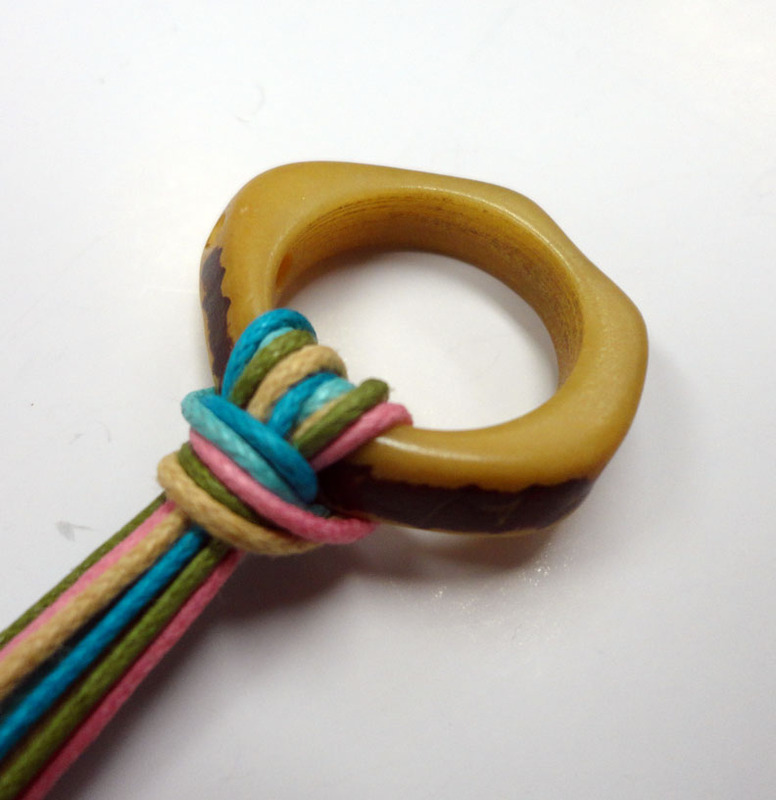 I can almost say I have mastered the square knot. Every now and then I forget what I am doing and I have to unravel my knots. Rattail is forgiving. 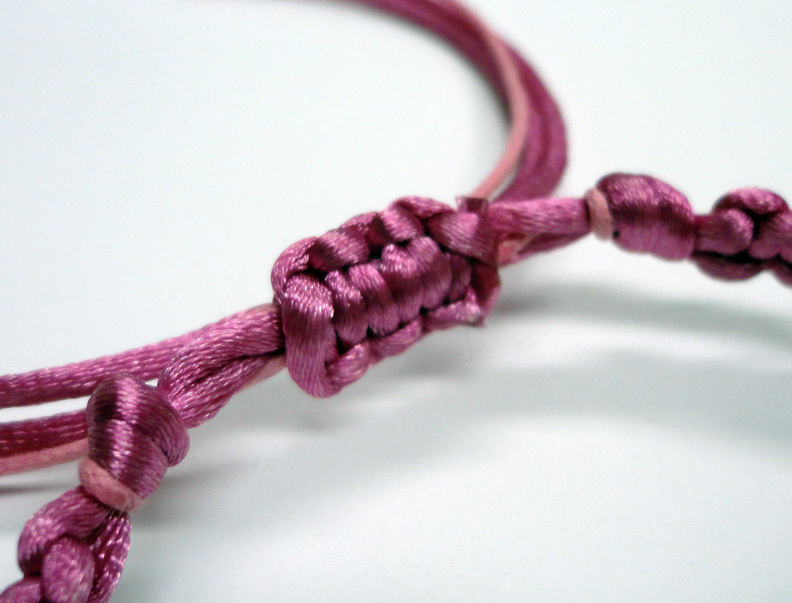 I even tried a special technique of adding these knots to my bracelet as a sliding closure. Success! To finish my cord ends I have been using a little flame from my lighter. It makes the ends look finished. A few people have been asking where they can learn about knotting techniques. The book that has really taught me the most is this one. If you go online though, many crafty folks have made Youtube videos and “how to” blog posts. This UK magazine is wonderful. This month’s issue came with a special extra techniques booklet also chock-full of knotting ideas! 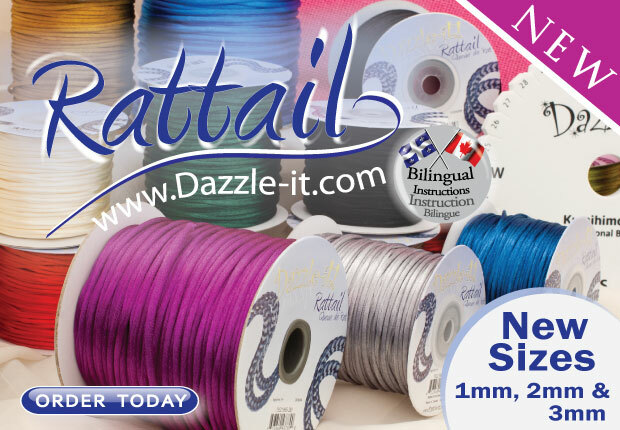 Author Carmi CimicataPosted on March 29, 2012 May 2, 2016 Categories Dazzle-it, Dazzle-it Cotton Wax Cord, Dazzle-it Rattail, News, Preciosa- The Masters of CrystalTags Cotton Wax CordLeave a comment on Pink Shamballa! 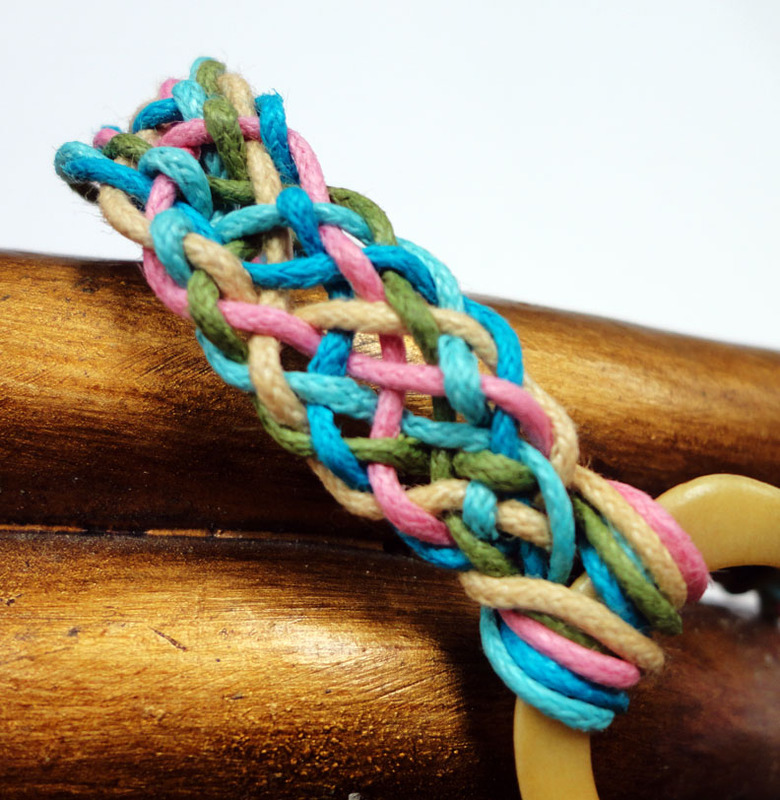 This bracelet makes me wish I was on a tropical island. 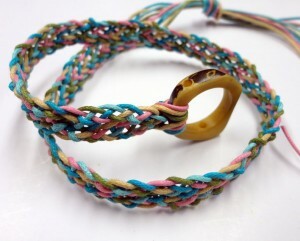 I have been experimenting with the many different type of cords John Bead has . 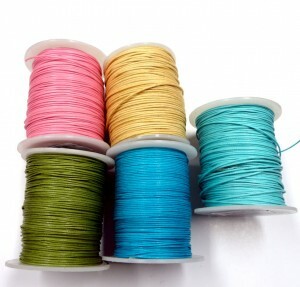 These are the colours I chose from the Cotton Wax Cord collection. Wax cord is available in many colours and you can buy it flat or round. My set is the round cord 1mm. 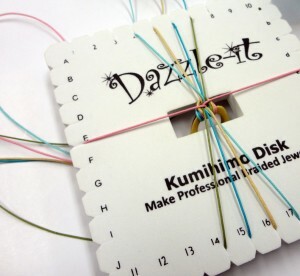 I am using the classic set up for a flat braid using the instructions you receive in the Kumihimo square disk/plate kit. The only thing I did different was that I attached my end to this vintage bead. It gave me a finished end with no additional work after I finished the braid. This braid was a pleasure to make! Cotton Wax Cord is very different from rattail. 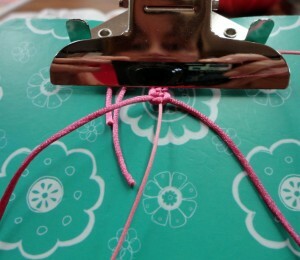 I did not try to make my knots super tight. I wanted this bracelet to be lighter. I am wearing it right now and it is practically weightless. 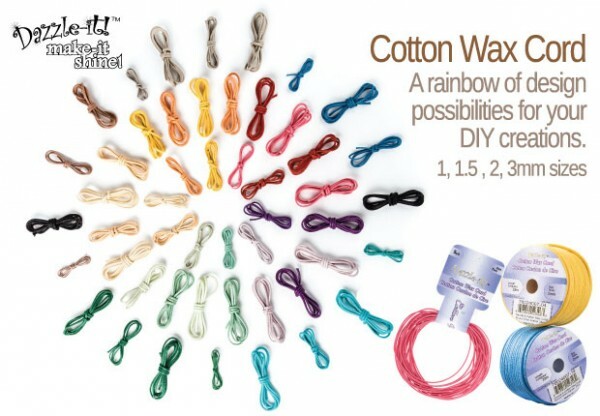 The next time I make a flat braid I am going to work with both rattail and cotton wax cord in the same project!